Selection of fixed finishes, materials, plumbing fixtures, appliances, built-ins, lighting. 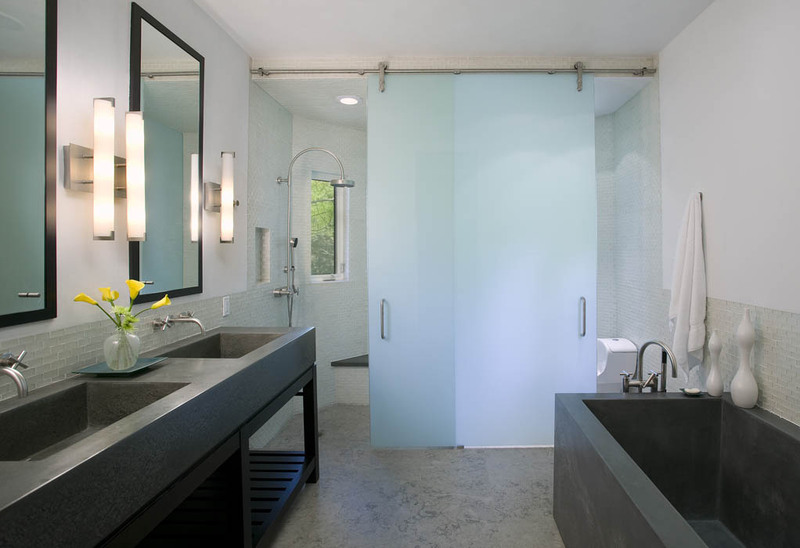 Unlike many other architecture firms, we select all the interior fixed finishes, plumbing fixtures, appliances and interior items that are important to the success of the project. We closely collaborate with you and specialty consultants for lighting, audio/visual, MEP, art display, antiques and security. We provide you and the contractor with a complete set of interior elevations, interior finish manual and plumbing/ appliance/lighting schedules often in the early stages of the project. Our services in architecture and interior design are seamless and you will have a great understanding of how your project looks from both the outside and the inside. We love collaborating with artisans, cabinetry makers, masons, ironworkers, painters, carpenters, and lighting manufacturers to create custom features unique to your project. These special details provide you delight each time you see them. All of the materials in your project are selected with the environment in mind. They will be beautiful and durable, sustainable and non-toxic. The indoor air quality will be clean and fresh.